Description: The Australian High Commissioner in London is interrupted whilst at a Vietnam peace conference by a Sydney policeman. 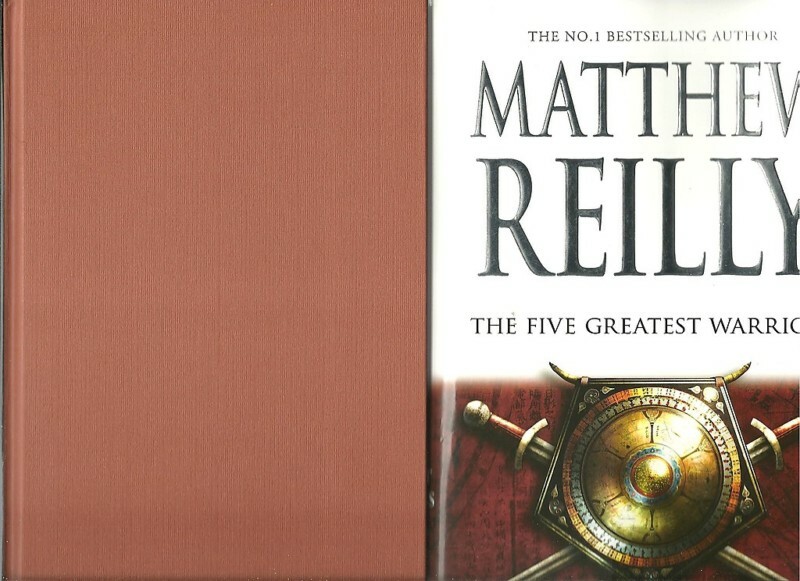 Publisher: Macmillan, Sydney, 2009, First Edition, hardcover large 8vo with dj, 451pp., plus 14 pages Acknowldgements, An Interview with Matthew Reilly and adv. Condition:Brown cloth-bound hardcover with white title to spine, minimal edgewear, no inscriptions, CLEAN & TIGHT in VERY GOOD CONDITION, in an unclipped VERY GOOD DUSTJACKET with very slight edgewear. Description: It's not the fall that kills you....Jack West Jr is back.....and the end of the world . . . . . . has arrived. Moses, Genghis Khan, Jesus, Napoleon....who is the 5th Great Warrior ? Publisher: Angus & Robertson, Sydney, 1968, re-set and re-issued edition, First Edition in this publication format, 4 sections, 425 pages. Condition:Crisp red cloth-bound hardcover, bright gilt title to spine, STRAIGHT, CLEAN and TIGHT in GOOD PLUS CONDITION in a GOOD MINUS DUSTJACKET with edgewear, unclipped. Foveaux is the fictitious municipality in inner Sydney in the 1930s. Description: Foveaux was Kyle Tennant's second novel and was drawn from her experiences living in the then disease-ridden slums of Redfern and Surry Hills in the late 1930s. It is a substantial novel of Sydney recounting the inner city around William Street c1930s. Publisher: Sirius Publishing, Sydney, 1946, Stated First Australian Edition, hardcover 8vo without dj, 312 pages, 4 sections. Condition:Green cloth hardcover 8vo with marks to cover (scan), STRAIGHT & TIGHTLY BOUND in GOOD CONDITION with a name dated 1949 to the endpaper and slight yellowing to ROBUST pages with no dj. FOVEAUX is the ficticious name of an inner-city Sydney municipality. Author: June Whittaker - a descendant of the hero of this book, the HISTORICALLY ACCURATE Henry Cabell who was transported to Australia as a convict. Publisher: Angus & Robertson, Sydney, 1981, First Edition, hardcover 8vo with dj, 225pp., plus 1 page Epilogue, Chapters, gold endpapers. Condition:Gold cloth-bound hardcover with gilt title to spine, slight rubbing to spine & corners, no inscriptions, CLEAN & TIGHT in GOOD CONDITION, in an unclipped GOOD DUSTJACKET with a few small tears, small piece missing from top back cover & slight edgewear. Description: Henry Cabell was convicted to be hanged in 1783, but was instead transported. June Whittaker is a descendant of Henry Cabell,and this vividly written and meticulously researched tale is both his story and the story of the first settlement at Sydney Cove. Publisher: Angus & Robertson, Sydney, 1975, First Edition, hardcover 8vo with dj, 185pp., 27 Chapters. Publisher: Angus & Robertson, Sydney, 1980, 1st pub. 1901 in Scotland, hardcover 8vo with dj, 254pp., 38 Chapters, brown eprs. 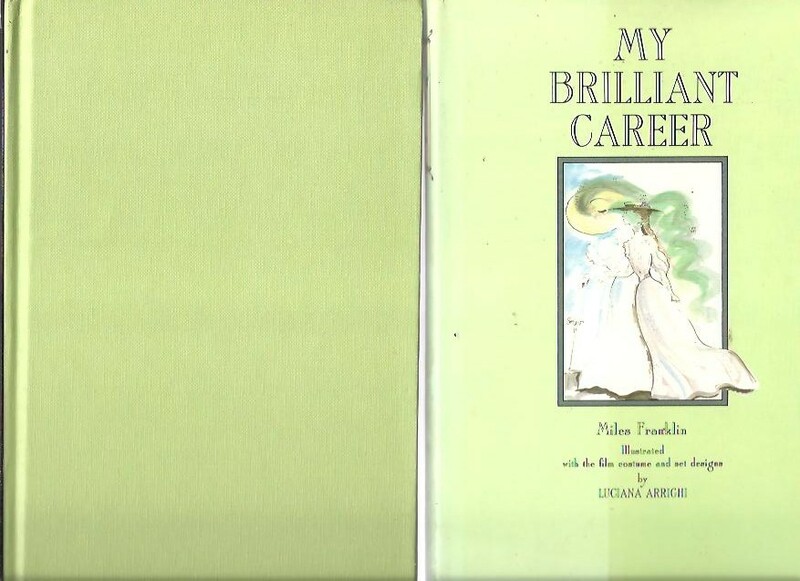 Condition:Green cloth-bound hardcover with gilt title to spine, slight rubbing to spine & corners, CLEAN & TIGHT in GOOD CONDITIION, previous owner's name to frepr, in an unclipped GOOD DUSTJACKET with slight fading to spine & slight edgewear. Description: In this deluxe edition Luciana Arrighi's delicate artwork, originally prepared as set and costume designs for the film, gives a new dimension to a story which has become one of Australia's CLASSICS. Publisher: Ure Smith, Sydney, 1973, First Edition, hardcover 8vo with dj, 94pp., B/W Illustrations to eprs, 8 Chapters, humorous illustrations throughout. Condition:Blue cloth-bound hardcover with white title to spine & illust. to fr.cvr, slight rubbing to spine & corners, no inscriptions, CLEAN & TIGHT in GOOD CONDITION, in an unclipped GOOD DUSTJACKET with tear to frcvr, rubbing and slight edgewear. Description: Stan, Ray, Dave and Lurky find themselves out of favour with their respective missus, and so they take refuge down in Dave's old boatshed. Supported by Benier's hilarious drawings, the author gives some tips on cooking and cleaning! Condition:Crisp blue cloth-bound hardcover with bright title to spine, STRAIGHT, TIGHT & CLEAN in VERY GOOD CONDITION in a GOOD DUSTJACKET which has not been clipped. Description: Set in the colony of Queensland in the middle years of the 19th century, this book follows the Neramburra tribe and the effect their dispossesion from the property, Glen View in Central Queensland. Regarded as an important book in Australian literature.